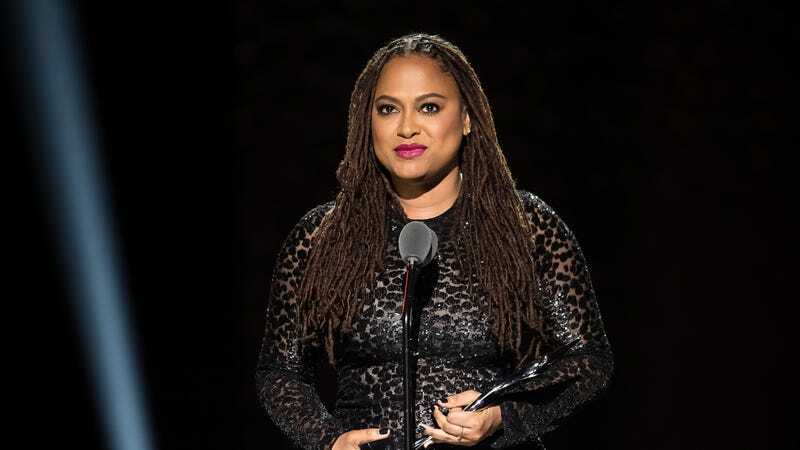 Ava DuVernay lands big $100 million TV deal with Warner Bros.
We can now add Ava DuVernay’s name—alongside Ryan Murphy, Shonda Rhimes, and Kenya Barris—to the list of recipients of big nine-figure TV production deals over the last year or so; Deadline reports that the Selma director has just signed a $100 million deal to develop projects for Warner Bros. TV. Although she’s probably still best known for film—having recently directed Disney’s A Wrinkle In Time, and currently working on a D.C. Comics-based New Gods movie for Warner’s film division—DuVernay has been a prolific force in television over the last few years. She created (and executive produces on) OWN’s well-received Queen Sugar (also produced in association with Warner TV), and is currently working on a documentary series about the Central Park Five for Netflix. In fact, it’s kind of surprising that this deal didn’t land at the streaming service, given its deep pockets, hunger for big-name talent, and the fact that it played host to both DuVernay’s previous documentary. 13th, and an upcoming one about Prince. The multi-year deal will allow DuVernay to shop her Warner-produced series to multiple outlets, much like the company’s golden boy, Greg Berlanti, who’s working with DuVernay on the upcoming CBS event series Red Line. The deal is explicitly being labeled as “multi-genre,” too, so we can presumably expect DuVernay to continue to explore her varied tastes, which run the gamut from family drama and action-heavy sci-fi to socially conscious docs.